Do you use social media for your recruiting and hiring efforts? I recently helped Illinois workNet create a series of recordings and a webinar focusing on recruiting practices using social media. Check out all of the resources on the Social Media Guide. Create a job posting on your website. Share the job posting link on your social media platforms. Ask your employees to share it to their network. Create a discussion in groups about your job posting. Participate on social media to build your company brand. Post items that will provide job seekers an idea of your corporate values and culture. Use social media to “check” applicants work history. So frequently, we are reticent to implement change. Just one of the platforms could help you find the right person. It may even save you money. Everyone knows that LinkedIn is the social media tool of choice when it comes to looking for jobs and looking for new employees. The resources I created help you with a few tips for blogging, Facebook, Google+, Pinterest, Twitter and YouTube. Also on LinkedIn, if you aren’t making use of the groups including the Illinois Virtual Job Club Network, you may be missing a valuable resource. If you aren’t already using these tools, investigate how you can. If you need more help than the brief tutorials offer, give me a call and I will help you establish a recruiting strategy. Have you submitted your blog to an aggregator like Alltop or Technorati? What are others that you have used? 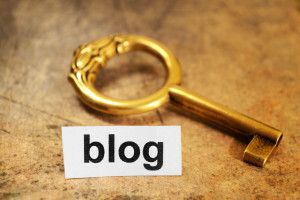 What is your blogging platform of choice? Wordpress, Blogger, Tumblr? What other options are there?